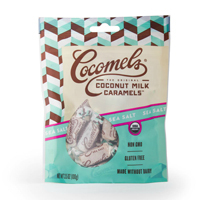 Aromatic coconut milk caramel infused with premium vanilla beans and covered in indulgent dairy-free chocolate. Artisan-made in copper kettles using simple ingredients, these dairy-free delicacies have a rich flavor and satisfying caramel texture. These mini round bites are perfect for impressing guests at a fancy dinner party, filling a gourmet candy dish, or topping a cake or ice cream sundae. 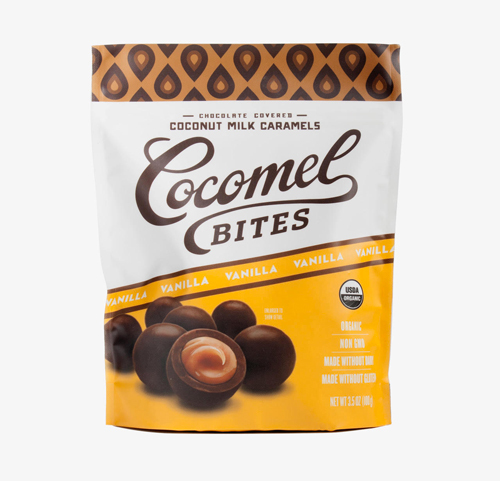 The resealable package even makes these chocolatey vegan cocomels perfect for snacking casually. Yum! This item may melt at temps 80° and up! Read Warm Weather Shipping info. Ingredients: Organic bittersweet chocolate (organic chocolate liquor, organic cand sugar, organic cocoa butter, soy lecithin (emulsifier), organic vanilla extract), organic coconut milk (organic coconut, water), organic brown rice syrup, organic cane sugar, sea salt, organic vanilla extract (water, organic ethyl alcohol, organic vanilla bean extractives), xanthan gum. 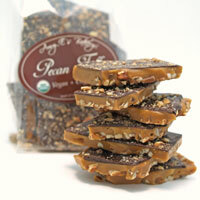 From the package: Manufactured on equipment used to process Dairy, Peanut, Egg, Wheat, Treenuts. Gluten-free info: Package states this product is gluten free. 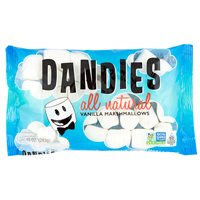 Vegetarian info: Package states product is Vegan Verified. Contains approximately 35 choclate-covered caramel bites per 3.5oz package.